Hyung-jin Cha (28), a Korean student who dreamed of performing on Broadway, is drawing attention after being cast by Oklahoma City’s Lyric Theatre for a major role in The King and I. In the musical that will be performed from July 9th to the 13th, Cha will be performing as LunTha, who loves Princess Tuptim dearly but dies in the end. 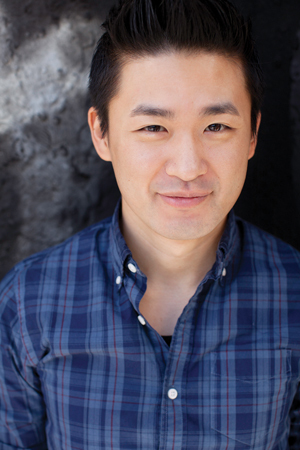 He will perform with other actors like Yoon-jung Sung under the direction of Alan Muraoka. Cha, who is currently pursuing a master of fine arts in musical theater at Boston Conservatory with a full scholarship, has been active in performances like “Sound of Music” presented by the Museum of Fine Arts, and “Archives & Etchings” by Boco Zackbox. After moving to Utah from Korea during middle school, Cha showed a special artistic interest by playing piano to fight off his loneliness, and dancing as a B-Boy in high school. Although he played the main character of an award-winning independent film called “A Story of the Wood”(director Ji-hong Min’s debut film), after graduating from high school, Cha was forced by his businessman father to attend Brigham Young University to study business. Around two years ago, Cha went to New York after graduating from college to pursue his dream, and tasted the bitter part of life. He went to every audition he could find, but it was impossible to be selected as a small male Asian actor. He had 180 auditions in one year, but never heard back from any. There was no way for him to improve. Cha, who dedicated all of his time to participate in auditions, had to work as a waiter to sustain himself. During the days when he did not have any auditions scheduled, he had to work for 15 hours. Cha said the most challenging part of his life was not the physical exhaustion but the unfair treatment he got while working at a job that was completely unrelated to his major. After continuous failures, he finally passed the audition at a small theater. However, for an Asian actor, the roles that were given were limited to minority immigrants. His paycheck after 6 months of hard work was merely 300 dollars. Cha, who often suffered from the hardships of life, began to be concerned about his lack of practice and the opportunity to improve his pronunciation. He also realized that there was no Korean actor in America who could be his mentor. Finally, he concluded that his best bet in Broadway was to be cast for the role of LunTha. To become as prepared as he could ever be, he applied to Boston Conservatory. Luckily, he was accepted with a scholarship. Every day, he stays at school from 9am to 1am to attend classes, practice pronunciation, singing and acting. He said, “I love being able to solely focus on practicing.” In New York, he was stressed out about sustaining his life so much that he did not have enough time to practice. As the first Korean actor to be casted for The King and I, he is leaving for New York for rehearsals in a few days before performing in Oklahoma.